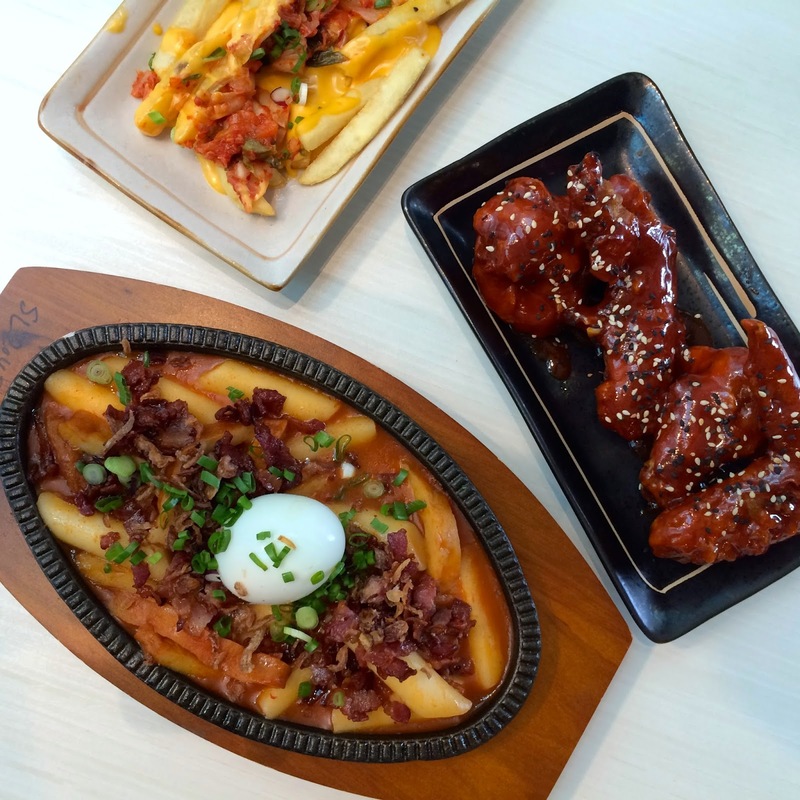 Korean fusion has become an insanely popular food trend, especially in the USA. 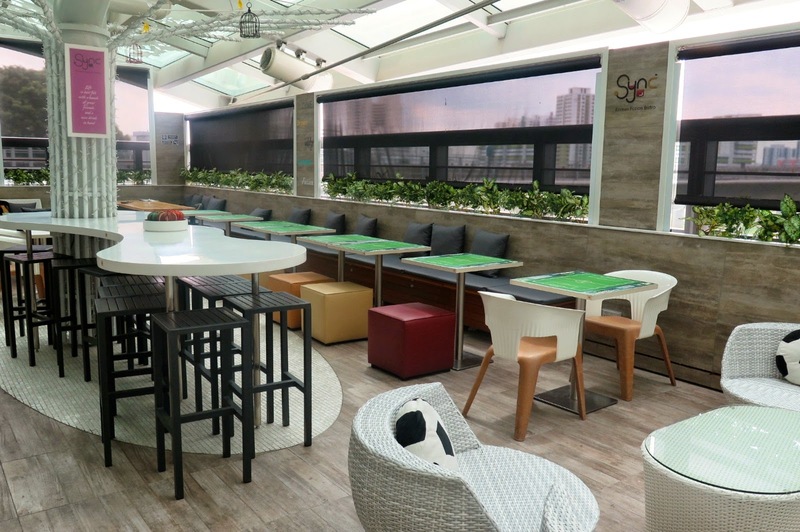 Here we have SYNC™ Korean Fusion Bistro, this is a first-of-its-kind dining concept in Singapore that marries traditional Korean food with western elements, and adding a touch of technology into your dining experience. 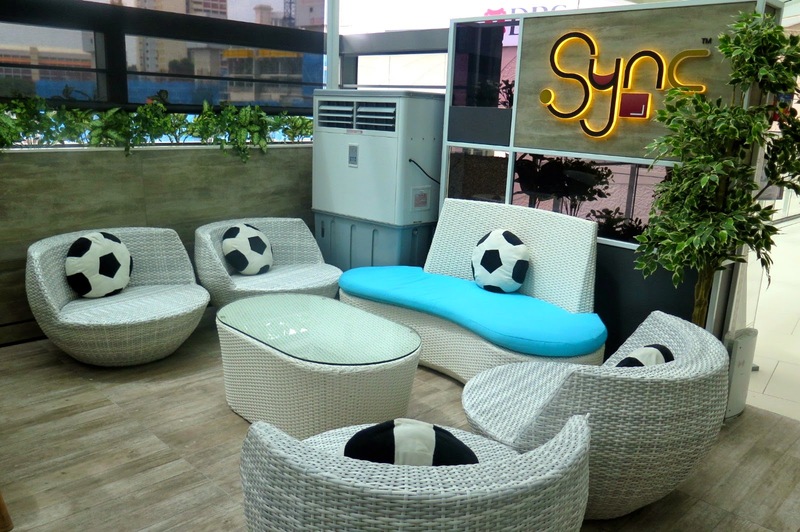 SYNC™ strives to bring good food with technology to people from all generations. 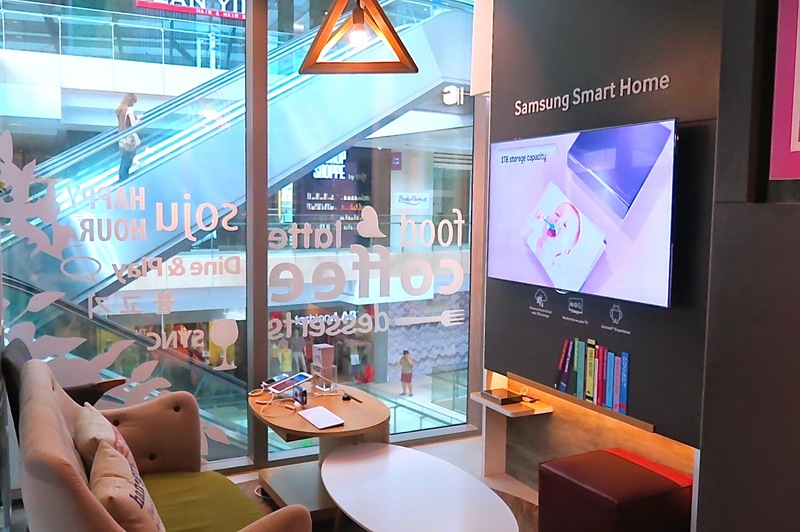 You will be surprised to find a kids’ corner for young children to experience the latest electronic gadgets and another area for young professionals and even senior citizens to enjoy. 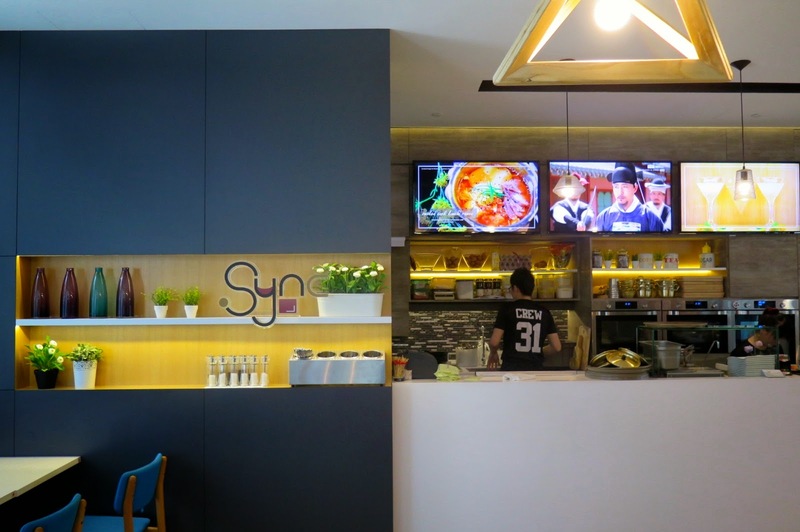 As SYNC™ Korean Fusion Bistro is powered by Samsung, you not be surprised to find many Samsung gadgets here. The digital menu will uphold you to a new level of experience. It eliminates setback associated with the conventional menu booklet. 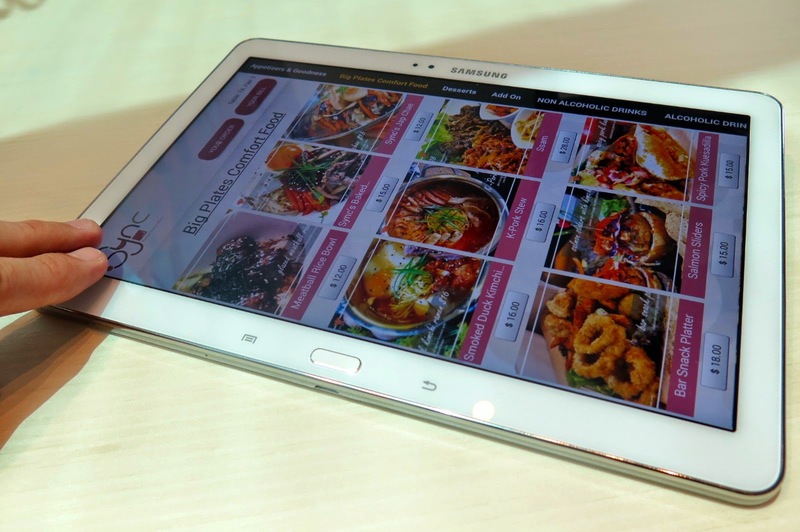 You can browse the menu, choose dishes and order directly from the digital menu. This saves more time, increase efficiency and productivity in the restaurant operation, so that the crew can focus more on serving food and presenting the final bill. 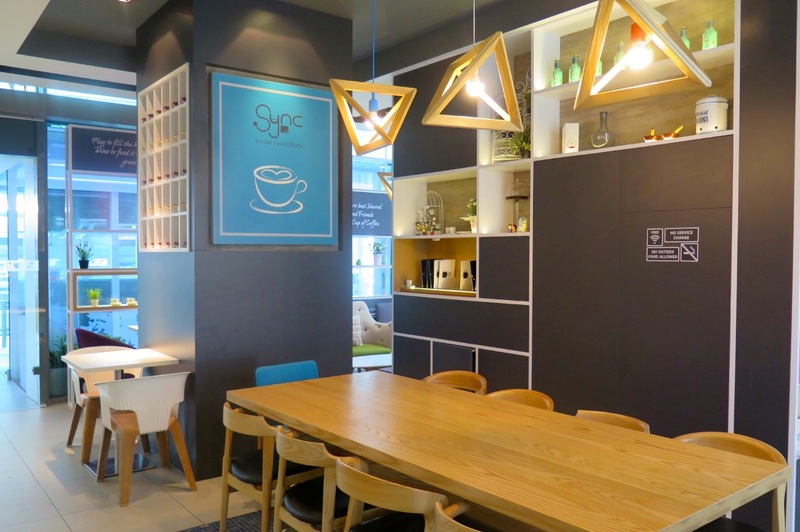 You will be happy to know that SYNC™ does not charge any service fee, and the bistro is wired up with complimentary WIFI. The Iced Honey Citron does not only taste great by itself, but it is a perfect cooler drink for the summer. 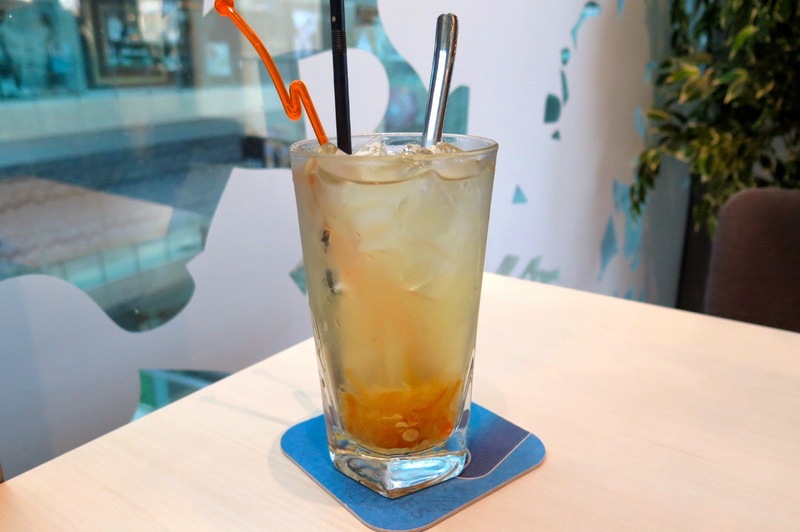 I would also recommend the Iced Yuzu drink here, which is another good refresher. Starting the meal with Kimchi Nacho Fries was really comforting. 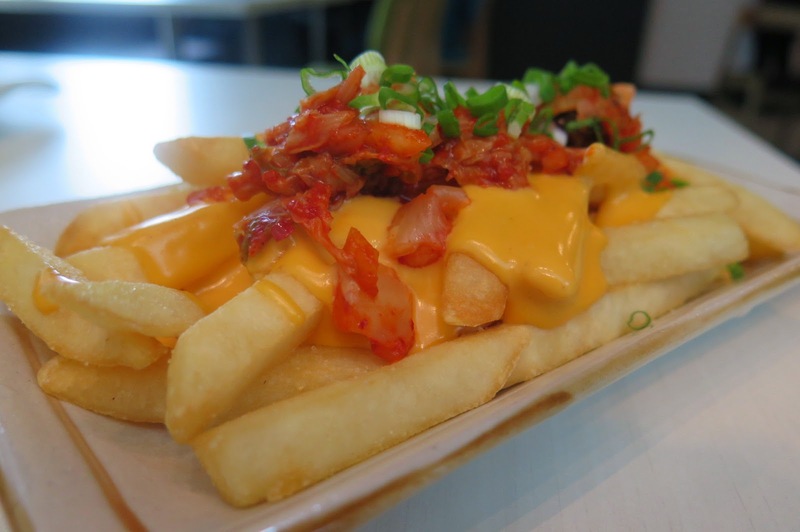 You can never go wrong with French fries covered with cheese and the shredded kimchi added some savoury spiciness to the palate. 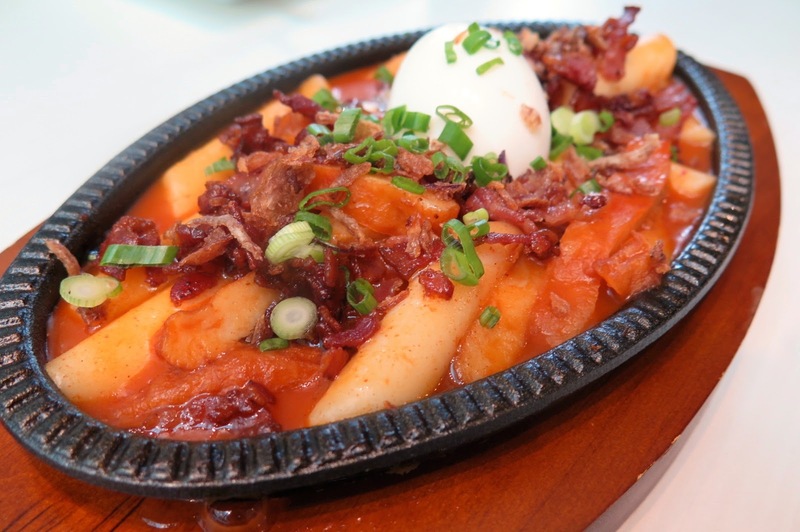 The popular Korean snack food made from soft rice cake, fish cake and sweet red chili sauce is served in a hot plate here. Crumbled bacon and a soft boiled egg makes the best companion to this snack. 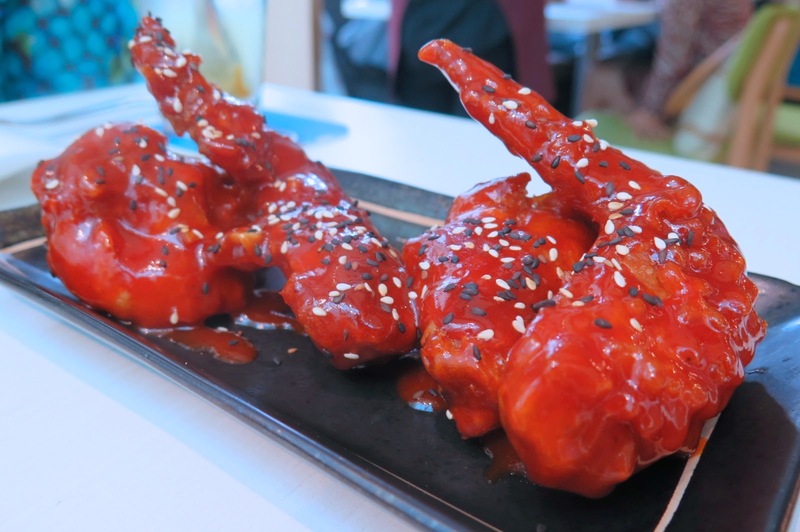 The crackling skin of the Korean fried chicken encasing the succulent meat has a sweet and mild spicy glaze, but somehow it just fall out of flavour. I was expecting it to be more fragrant with a fiery kick, but the sauce was a little too sweet to my liking. 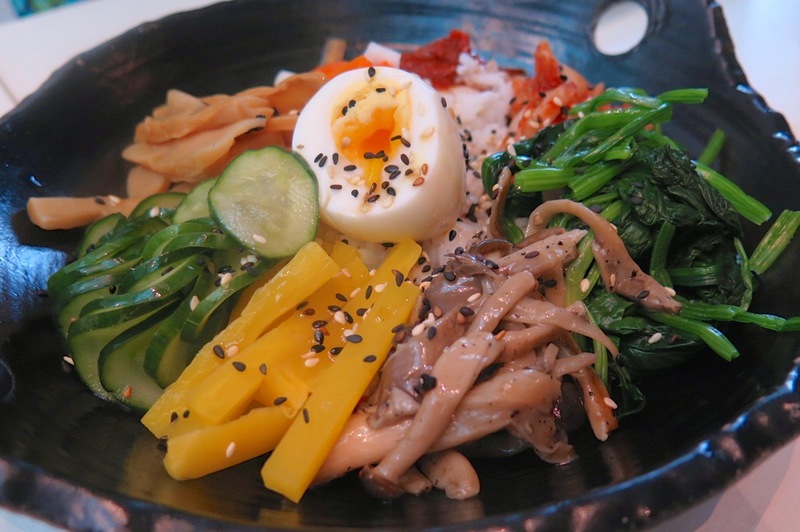 You can expect the usual Korean fare at every Korean restaurant. The combination of the assortment of vegetables, with the rice and the Korean chilli paste was cooked just right, but I would prefer this same dish to be served in a hot stone pot, so that I can collect the golden crispy leftover on the bottom of the rice. 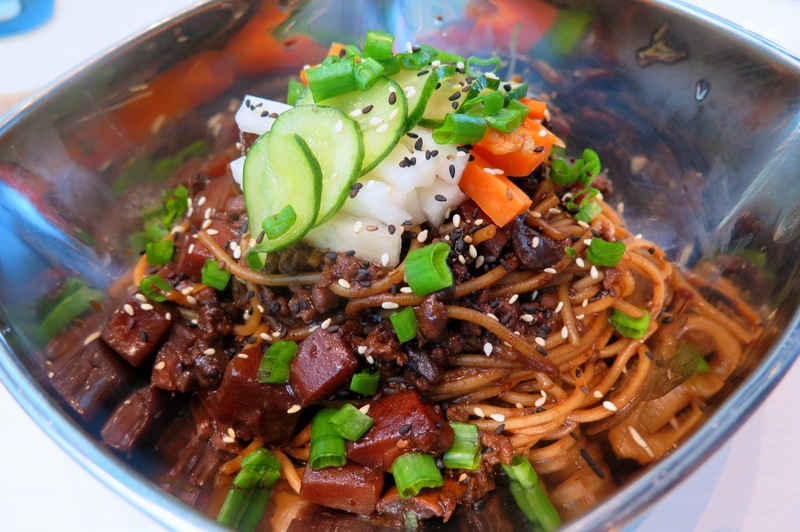 Jajangmyeon is the Korean version of Chinese ZhaJiang Noodles 炸醬麵. Chunky, savory black bean sauce noodles with diced meat and vegetables was simple, and not that interesting to me, actually won over my heart. The sauce was savoury-sweet and full-flavoured after mixing well with the noodles, it become my comfort food at its best. 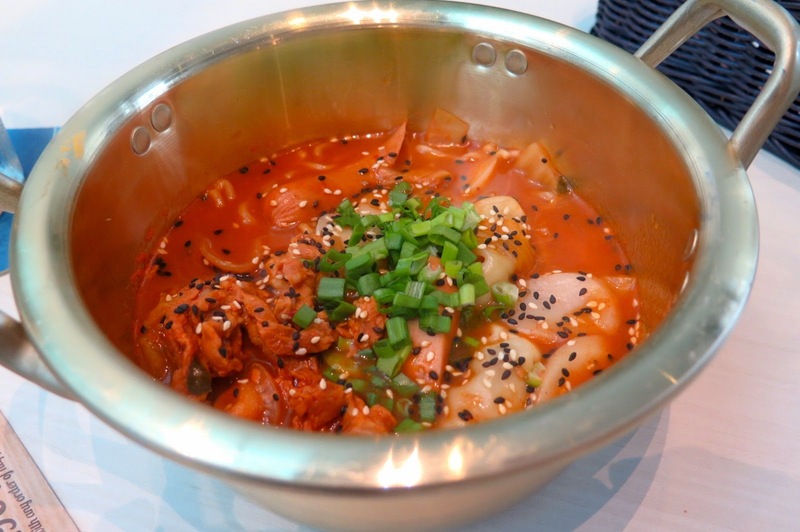 This one-pot dish features Korean dumplings, sliced meat, sausages, rice cakes, vegetables and noodles all stewed in a spicy sweet sauce. The broth could be better served with deeper flavours and spices at higher cooking temperature that warms the belly and satiates the palates. 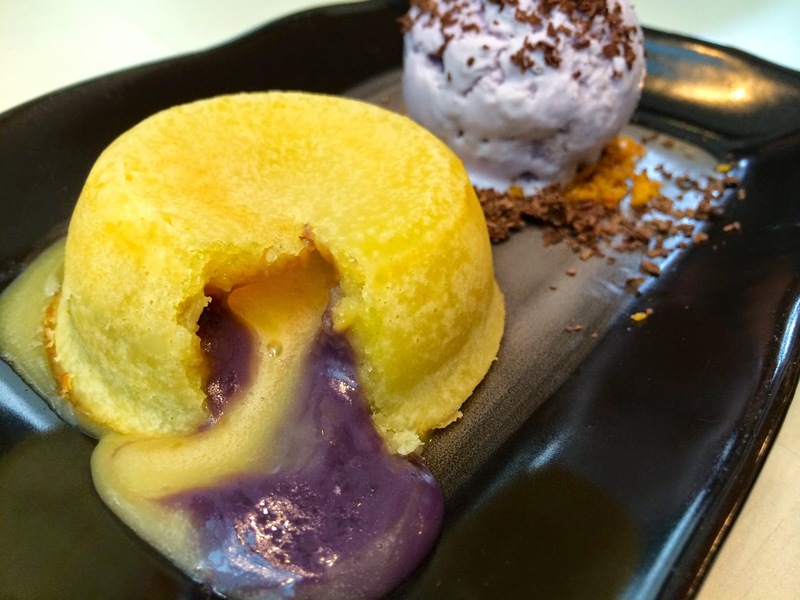 Desserts, the butterscotch infused Matcha lava cake was the winner out of the two, as it was more intense in flavour. 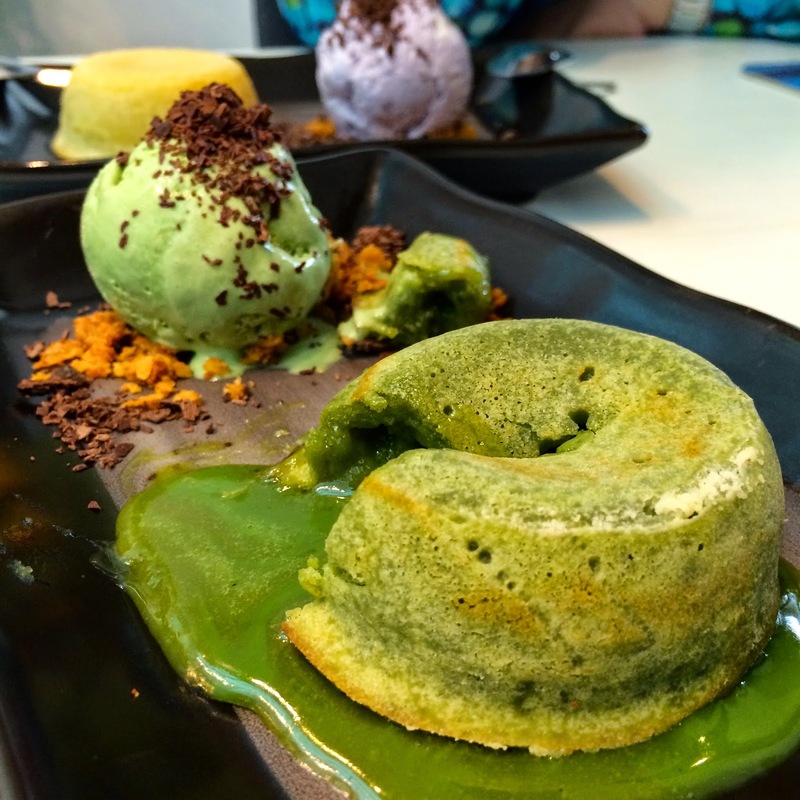 Ooey matcha filling flows out of the warm souffle-like cake, this was pure decadence I can go for a second round without the ice cream. The mains were a little underwhelming, but the appetisers and desserts sealed the deal for me. 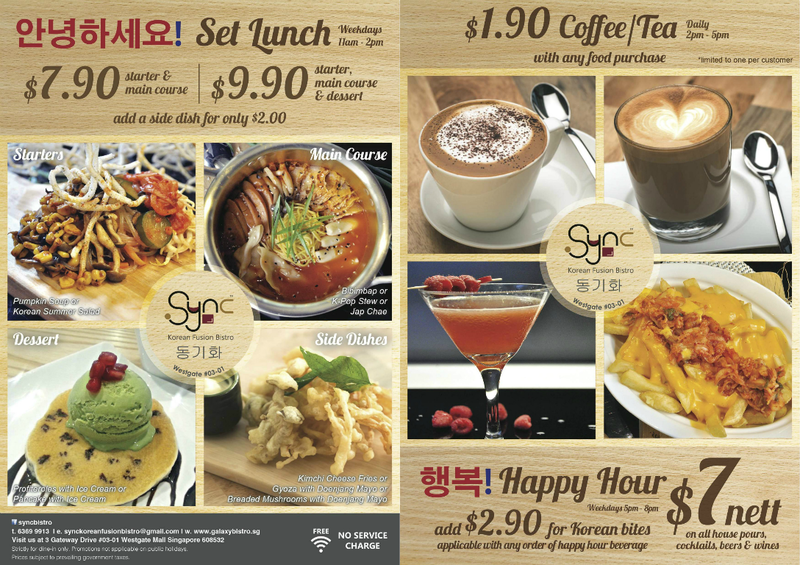 I will be back to enjoy their Set Lunch Special (Weekdays 11am – 2pm) at an unbelievable affordable price of $7.90 for a 2-course meal, and top-up $2 for a side dish or complete the meal with a dessert. The Happy Hour Special (Weekday 5pm – 8pm) is such a good steal, at only $7 nett for all house pours, selected cocktails, beers and wines.